Sony has since fixed the text on the image. According to that earlier report about PS Now on PC, the announcement was going to happen today in Europe, and it would be available in Belgium, the Netherlands, and the UK. It would then expand to the United States and Canada next week. The report adds that a PC running Windows 7 is required, and you’ll need a compatible controller, preferably a DualShock 4. 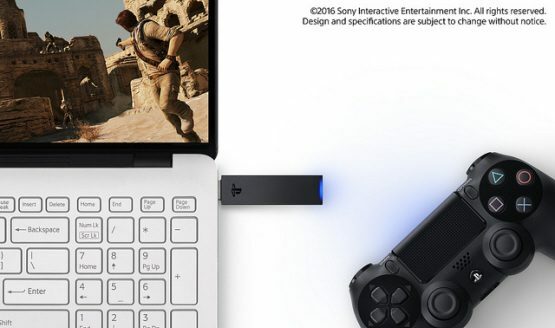 As it so happens, Amazon France has put up a listing for a DualShock USB Wireless Adapter, which is priced at €19.99 and given a September 15 release date. When Sony officially announces PS Now for PC, we’ll let you know.